Are you ready for a cinema experience with a difference? A seventy seven year difference? 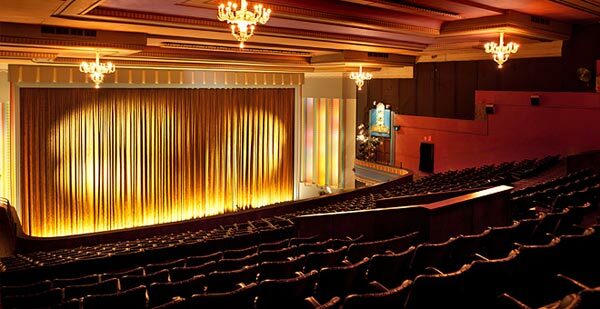 The Astor Theatre opened in 1936 and was lavishly designed in art deco style which was typical of the time. Today it remains very much as it was all those years ago. What sets this cinema apart is not just the decor but the eternal calendar of classic, modern and cult films which are shown in a two-level auditorium layout; the stall-and-circle arrangement. My first experience at the Astor was at a screening of Casablanca. Not having seen Casablanca this was truly a step back into yesteryear for me...watching a classic in a cinema where it would have had its original screening back in 1942. Wow. What made it even better was audience members came dressed in clothing typical of the 40s era. I have it on good authority a screening of the Blues Brothers typically attracts a few Jake and Elwood look-a-likes which would be a sight to see. From Breakfast at Tiffanys, An Affair to Remember and It's a Wonderful Life to Back to the Future, Dirty Dancing and Grease you'll find a favourite movie to enjoy. If classics aren't your thing The Astor also screens current flicks. The Astor has a seating capacity of 1,110, doesn't take bookings and doesn't allocate seating. Tickets can be bought up to one hour before the movie session begins or for select sessions online tickets can be purchased. The cost per session is $15 per adult ($14 concession) and if you go on a Wednesday or Thursday it's even cheaper! Definitely arrive early so you can check out the grand old cinema and you may want to head upstairs for a great view of the screen.